There are three possible dashboard wizards, used to recover a blog with a corrupt template aka "500 Internal Server Error". The Template Editor ("Edit HTML") page. With most blogs, one of the three can eventually be used, to install a clean, new template - and recover a blog that's offline because of the broken template. Some blogs, unfortunately, cannot be recovered this way. Some blogs have templates so badly broken, that no dashboard template wizard can be accessed - and used to restore the blog to operational status. If there's no way to recover a broken blog by replacing the template, the next possibility is to recover the URL - and install a new blog at that URL. Create a new blog - with a clean, working, Blogger supplied template. Swap URLs between the old and new blogs. Export content from the broken blog - and Import to the new blog. Rebuild the template, and add gadgets. 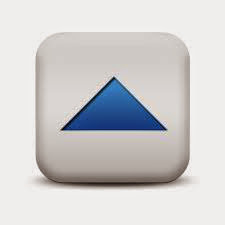 Provide notice to your Followers, readers, subscribers, and other viewers. Create a new blog - with a clean, working template. 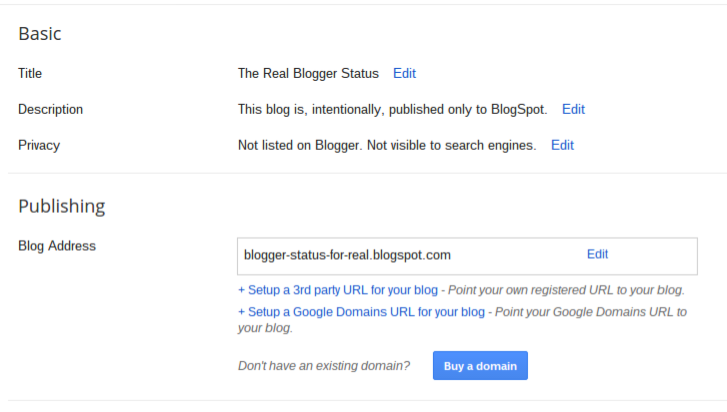 Use the dashboard "New Blog" button, and create a new blog. You'll only create the new blog, in this case, to recover the URL of the broken blog - so just use a random, non valued URL. 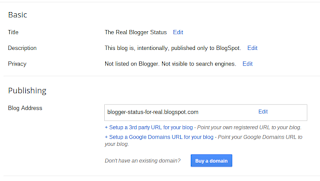 Choose a template similar to the one on the broken blog, from the dashboard Template page - and get your new blog online. Use a Blogger standard template, until you are satisfied that the problem won't continue. Hoping that you can access the Settings - Basic ("basicsettings") page - first rename the URL Of the broken blog, to a second random, non valued URL. Then you can rename your new blog - created above - to the URL previously used by the broken blog. Just Edit "Blog Address", twice, to swap URLs. First, for the broken blog, to free up the current URL - then, for the new blog, to recover the current URL. Now, your broken URL is back online, with a clean template - though without content. Use the "Import & back up" wizard at the Settings - Basic ("othersettings") page for the broken blog, and export comments, pages, and posts. Then use the wizard for the new blog, and import the content just exported. If the broken blog uses Blogger Followers for community building, and you had a significant Followers community, the community will remain on the old, broken blog. This is the one down side of recovering a broken template using this technique. Fortunately, the only specific problem is the effect upon the Followers community. The other half of Following - the blog feed - will be re established with the new blog, which will now have the desired URL being recovered. And the sooner you get the blog back online, the sooner you can rebuild / recover your Followers. If you periodically back up the template, as you tweak it, this will be the easiest step in the recovery. Of course, since you are here because the template is broken, maybe you should rebuild the template, one step at a time. Try to not repeat the previous mistake. Then add gadgets back, one at a time - and test carefully. Provide notice to your Followers, readers, and viewers. If you care about your community - Followers, readers, subscribers, and other viewers - a new post, briefly admitting to your mistake might be a good idea. You can even display your new post, as a Featured Post. Sometimes, it's not possible to recover a broken #Blogger blog, using any of the Template dashboard pages, with a blog sidelined by a "500 Internal Server Error" broken template. If the URL has any value to you - or your viewers - you can recover it, using a new blog.